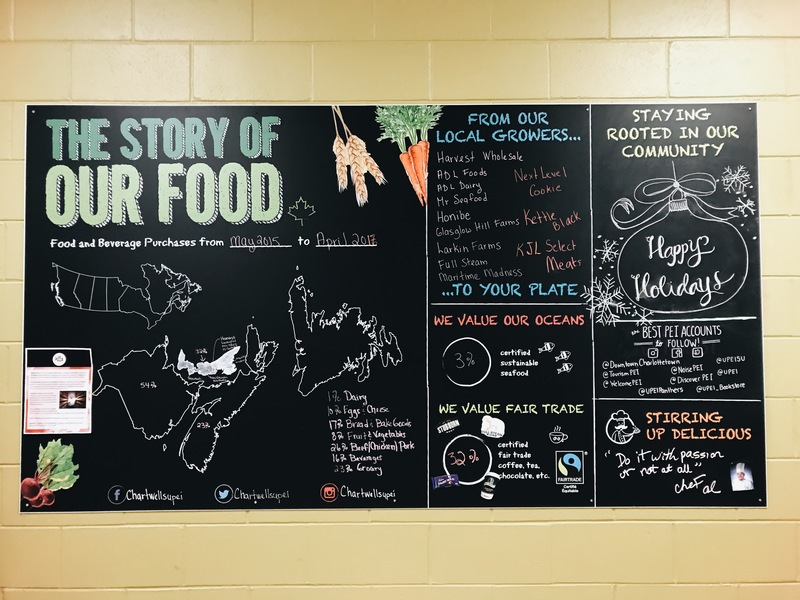 At Chartwells UPEI, we understand the importance of sourcing local and making it a lifestyle. 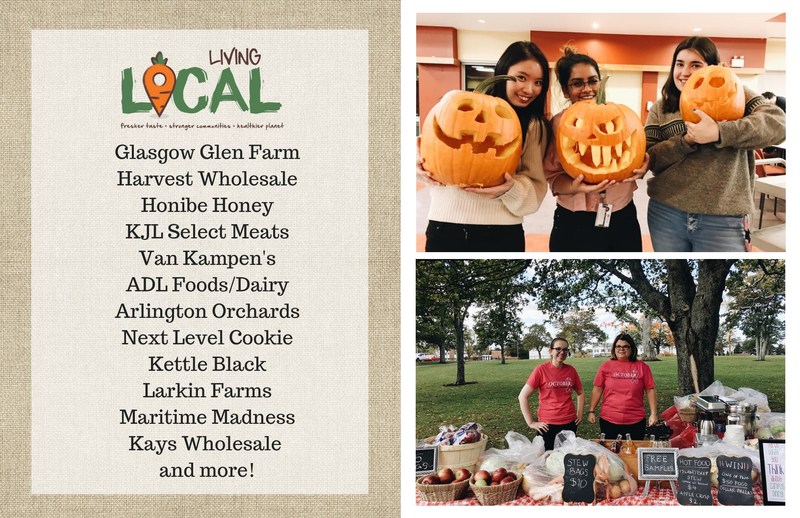 Our amazing local suppliers provide us with a ton of quality ingredients and products that we use in the kitchen, in retail, and for a variety of events. Though we celebrate and support local throughout the year, October is a nth full of events and promotions all showcasing the amazing a bountiful harvest season that delivers the best flavours PEI has to offer, such as our local outdoor farmer's market, apple crisp making session, local tasting table, and a pumpkin carving activity.